Kia Motors has released preview images of its next-generation Sportage CUV, ahead of its formal global debut at the Frankfurt International Motor Show on September 15, 2015. The fourth-generation Kia Sportage sports a new face that separates its headlights from an enlarged version of the brand's trademark ‘tiger-nose’ grille. The headlamps sweep back betweenthe outer edges of a more sharply-detailed hood and bolder wheel arches. 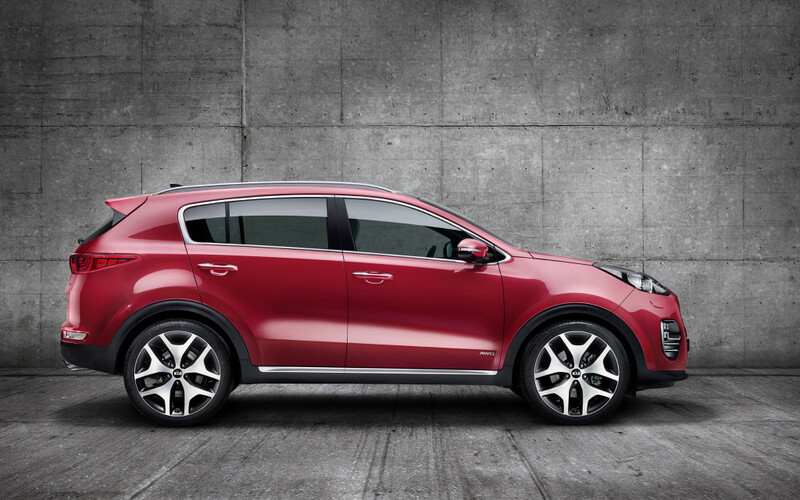 From the side, the new Sportage retains the swept-back silhouette of the current model, with a roofline that tapers towards the rear of the car, but it incorporates a longer front overhang, shorter rear overhang and longer wheelbase. Smooth bodywork surfaces, along with the bolder wheel arches, contrast with sharp, defined feature lines to create visual tension. Horizontal forms at the rear emphasize the car’s width to create visual stability. Slim rear combination lamps inspired by the 2013 Kia Provo concept car are located lower down to add more visual weight and add to that greater sense of stability. 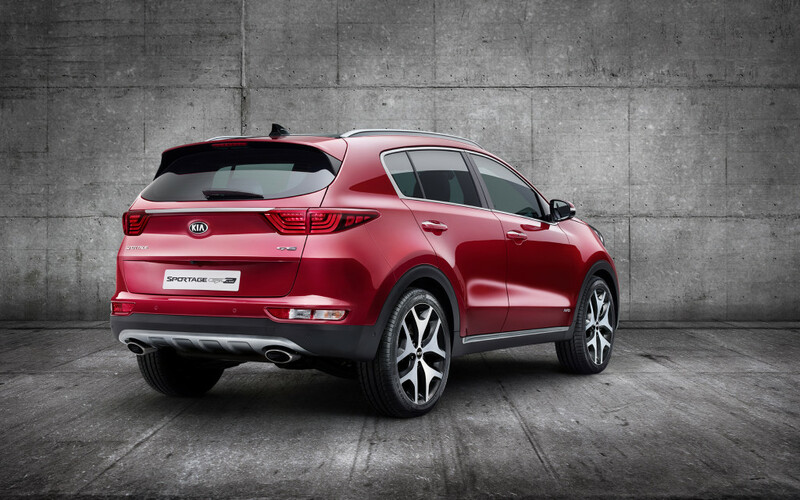 The design of the new Sportage was led by Kia’s European design studio in Frankfurt, Germany, with input from the brand’s Namyang, Korea and Irvine, California design centres.